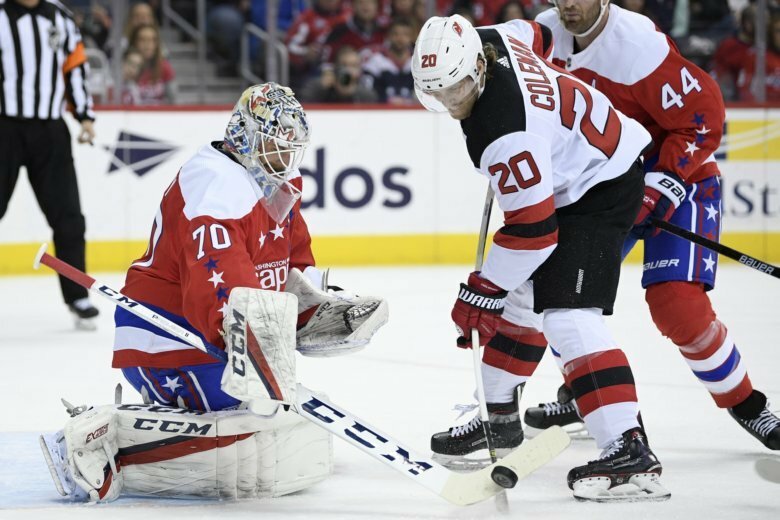 Coming off a tough defeat to the Tampa Bay Lightning, the Washington Capitals travel north to New Jersey to face a struggling Devils team on Tuesday at 7 p.m. Here's everything you need to know about the game. Coming off a tough defeat to the Tampa Bay Lightning, the Washington Capitals travel north to New Jersey to face a struggling Devils team on Tuesday at 7 p.m. The Devils have the least amount of points in the Metropolitan Division, but have won two of their last three contests. Tuesday, March 19, 7:30 p.m.
Playoff Picture. The Capitals are tied with the New York Islanders at 91 points apiece with just 10 games remaining in the regular season. Every game counts as the Capitals look to earn the No. 1 seed in the division. The Penguins, who fell to the Flyers in stunning fashion last night, are just three points behind. Ovechkin’s goal scoring. After finding the back of the net twice against the Lightning on Saturday, Ovechkin has a firm five-goal lead over Leon Draisaitl for most goals in the league. Ovechkin was held without a goal against the Devils when they last met just over two weeks ago. Opponent to watch: Kyle Palmieri. The 28-year-old winger leads the Devils with 50 points, but has been held without a point in his last two games. He scored two goals against the Capitals in their 6-0 victory over Washington on Oct. 11. Last time these teams met: Washington defeated New Jersey 3-0 on March 8. Goaltender Braden Holtby had 25 saves in the win.